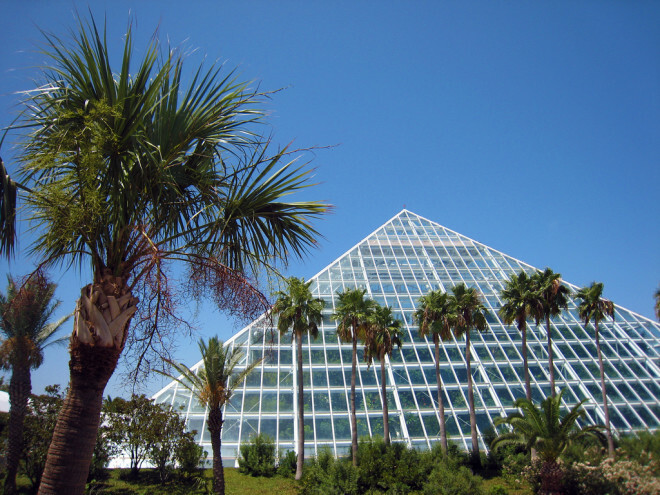 The Moody Gardens Aquarium is a 2 level facility, comprising 111,000 square feet. The pyramid is 100 feet at the peak. 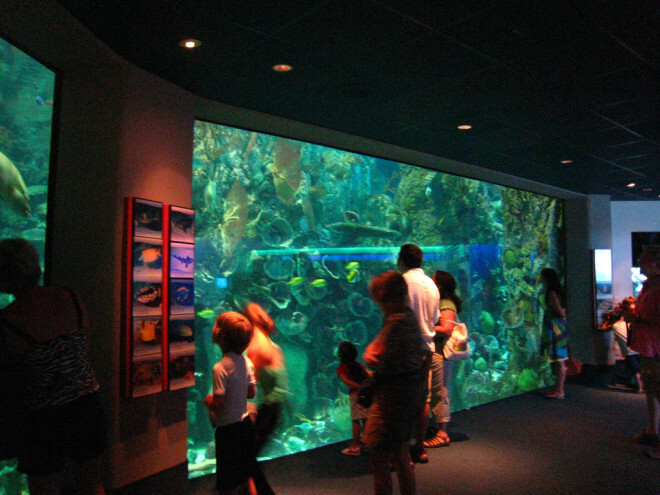 The Aquarium features four major exhibits representing the 4 oceans of the world. The Caribbean exhibit is home to sharks, sea turtles, eels and thousands of beautiful tropical fish. 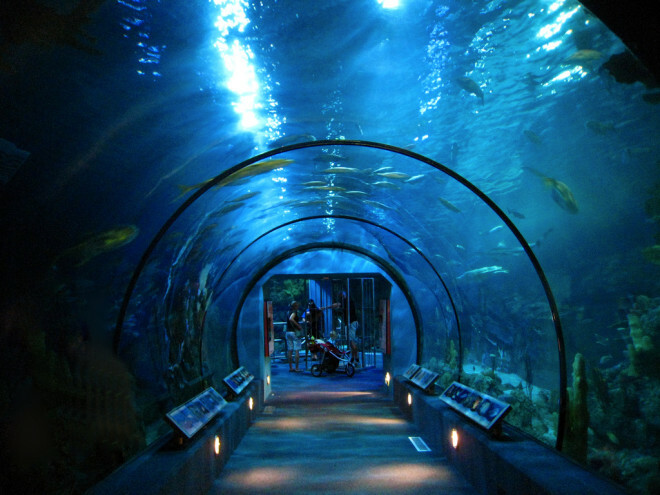 All can be seen through an underwater tunnel completely surrounded by the exhibit’s one million gallons of water. The North Pacific, having a total volume of 80,000 gallons, is home to seals, sea lions, and a kelp forest. 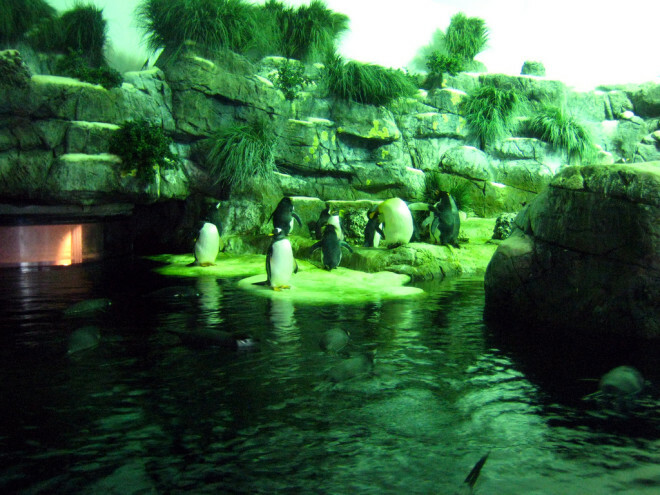 The South Atlantic, hosting King, Chinstrap, Rockhopper, Gentoo and Macaroni penguins, has a total of 100,000 gallons of 50 degree water. The South Pacific, at 120,000 gallons, highlights the Great Barrier Reef and Coral Sea, and includes a serene tide pool. 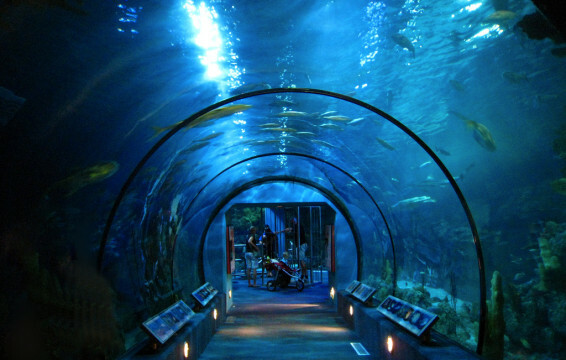 The lower level offers an underwater view of more than 200 species of fish, stingrays, and small sharks, in their beautiful complex environment. The exhibit’s water temperatures are regulated through the use of heat exchangers, chilled water, and hot water from the central plant system. Numerous smaller exhibits are sprinkled throughout the facility utilizing packaged life support systems, and there are two changing exhibit areas. The building also houses a food court area with a fully equipped commercial kitchen.